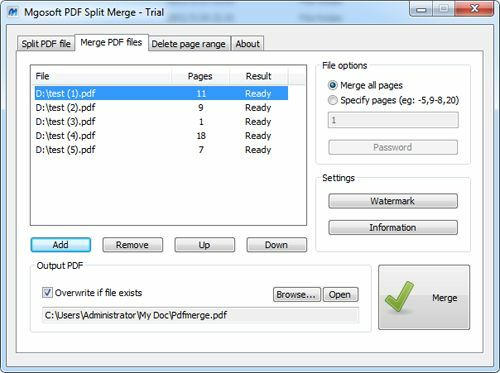 Split PDF file and extract pages from a PDF file. 3: Extract page number 3 into a new document. 3,5: Extract pages 3 and 5 into a new document. 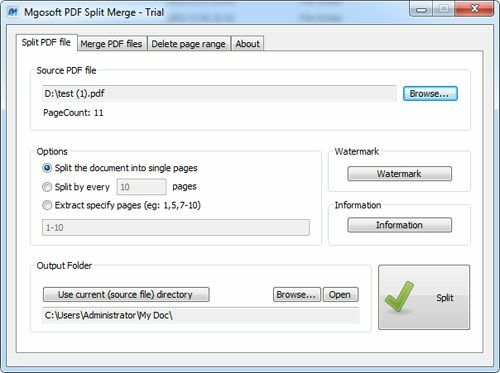 2-8: Create a single output file containing pages 2 through 8. 8-: Extract the page range from page 8 to the last page. 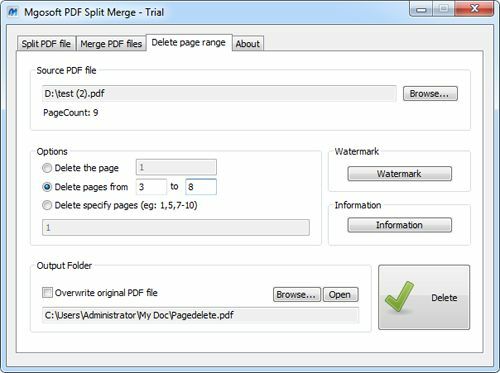 -9: Extract the page range from page 1 to the 9 page. 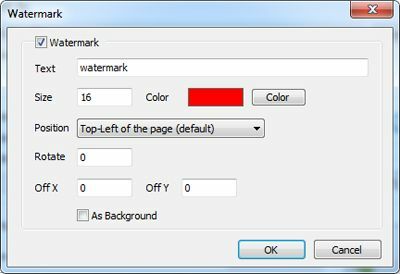 Watermark: lets you stamp watermarks on pages . 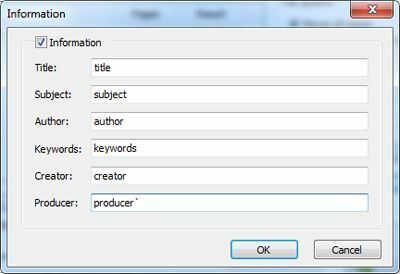 Information: Set Title, Subject, Author, Keywords for output PDF.